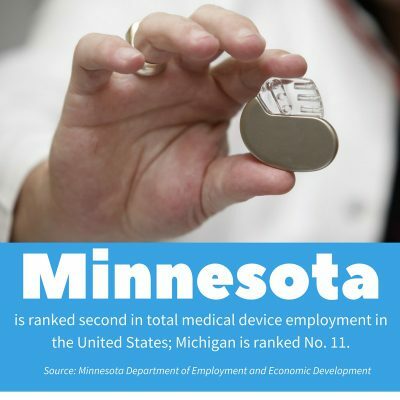 From Minnesota’s “medical alley” to West Michigan being home to 40% of the state’s medical device professionals, the medtech industry is booming throughout the Midwest. As a result, we know that innovative companies are on the hunt for skilled workers to assemble, quality check, package, and ship their life saving devices. With more than 50 years of experience in the light industrial staffing world, Masterson Staffing Solutions is a full-service staffing agency and an experienced recruiter in the medical assembly and technology realm — working to bring skilled workers and great companies together. When it comes to our work with employers, we work with you to get a deep understanding of your staffing needs. From there, we create a plan to connect you with skilled workers who can help you reach your goals. Similarly, we work with medical assembly job seekers to understand your experience, skills and career goals, and offer you solutions to help move you find a good-fit medical assembly position. From replacement heart valves and pacemakers to cochlear implants, medical device and technology manufacturers build innovative and lifesaving tools that people all over the world benefit from. As a result, companies want individuals who have strong attention to detail, and solid computer, basic math, and reading comprehension skills. We work with some of the Midwest’s leading medical device manufacturers to connect them with skilled professionals to fill their flex, flex-to-hire, and direct-hire positions. Masterson Staffing has been working with job seekers and employers since 1968. Our team is dedicated to making matches that are a good fit for all parties. Select one of the options below to contact us and get started.